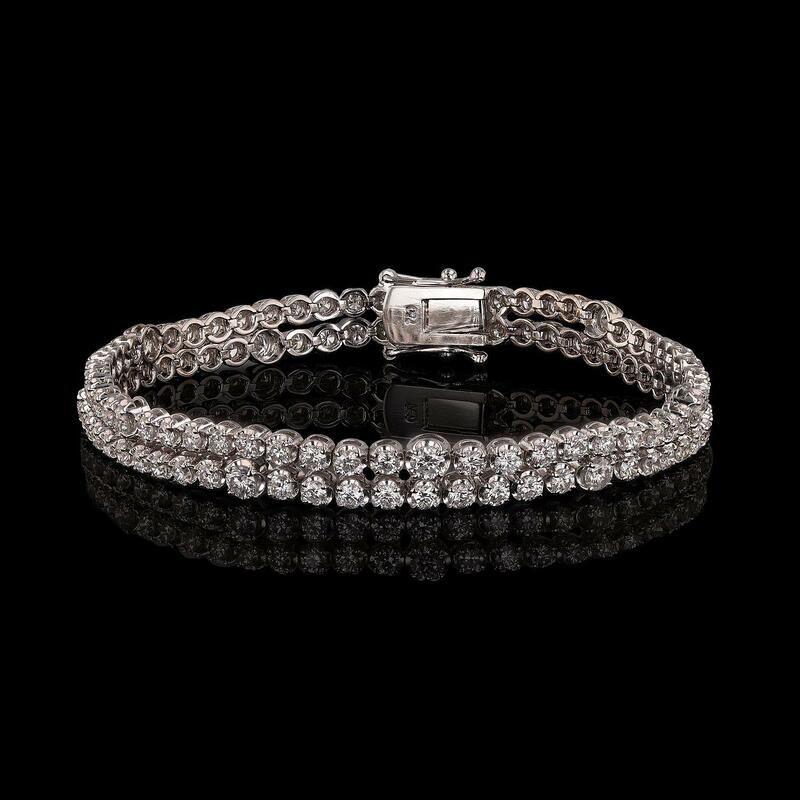 One electronically tested 18KT white gold ladies cast and assembled diamond station braceiet. Condition is new, good workmanship. Ten prong set round brilliant cut diamonds, measuring 3.00 - 2.90 x 1.77mm (depth est.) approximate total weight of 10 Stones = 1.02ct. Graded in the setting. One hundred two prong set round brilliant cut diamonds, measuring 2.30 - 2.20 x 1.37mm (depth est.) approximate total weight of 102 Stones = 4.61ct. Graded in the setting. Total Weight of Diamonds 5.63ct.